There are plenty of makeup styles which are available for special effects which look amazing and terrible to see but this style has to be recreate every month as the makeup looks are different from each other and complexes in looks. Hello mason, thank you so much for the comment! I completely agree, that is what makes special effects so special there is a whole world of looks you can do. Previous PostPrevious So you want to know a little bit about me…. 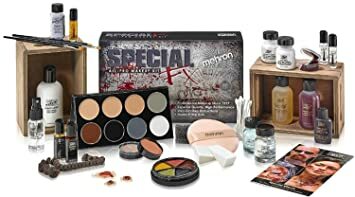 Next PostNext Starter Kit Special Effects Makeup: Building up a look!